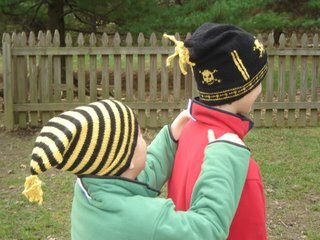 I had every intention to do the hello yarn,"we call them pirates hat" for my oldest, however he had ideas on how he wanted his hat. Definitely pirates, long, like his brothers, and he wanted it to have a "fun" top. So........this is what we came up with. They both love them, and I thought they turned out pretty cute. 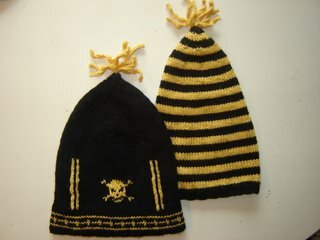 I have a friend that wants the "we call them pirates hat" so I think I will eventually make that one. 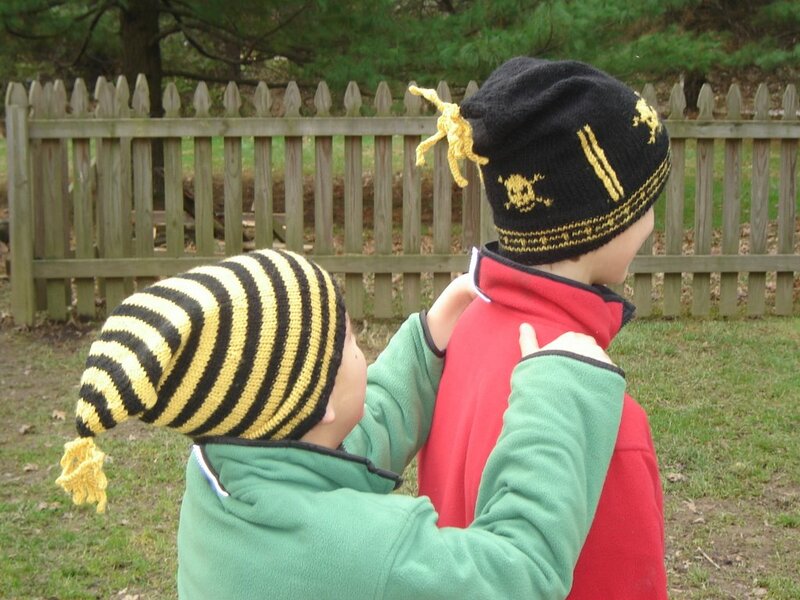 These two hats took only 2 balls of cascade 220 superwash. These hats are great...I love the skull and crossbone theme! You really are so talented. 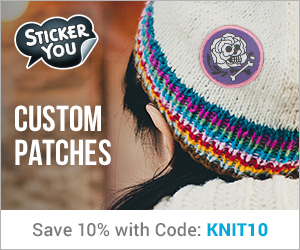 Your friend is lucky to have you to knit her one of these hats for her birthday! MAKE SURE THAT THE "FRIEND" PAYS YOU FOR YOUR WORK. A LOT OF FREE LOADING FROM "FRIENDS"